were left out. Please accept my apologies. You are indeed HUNGER HEROES! 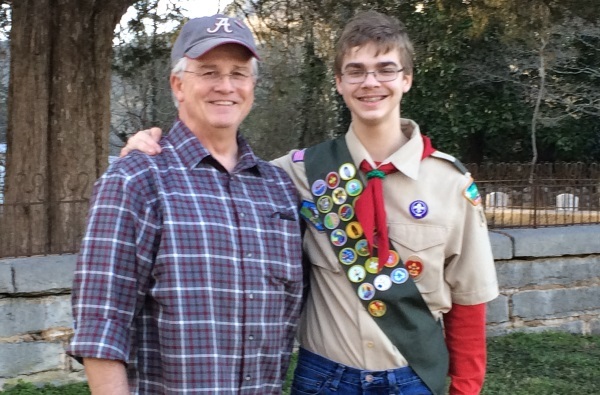 Bryant Godwin, son of Lisa and Tim Godwin, and brother of Bailey and Blair Godwin, all volunteers at MCCM, recently completed his community service project as part of the requirements for attaining the rank of Eagle Scout. 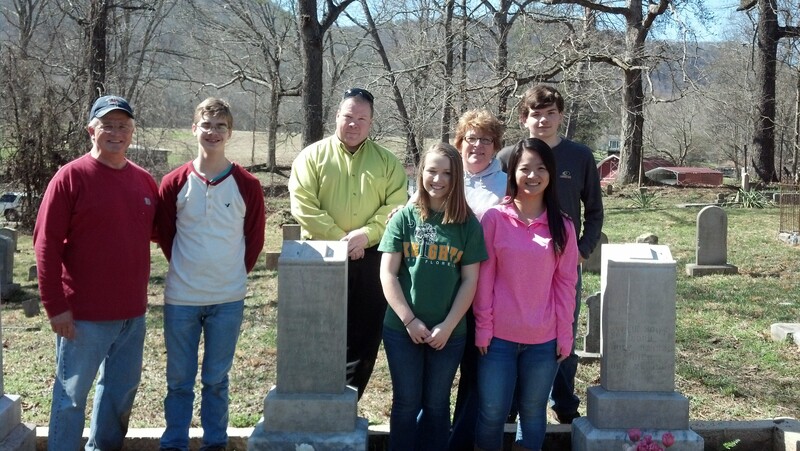 His project was to clean up the Owen’s Church Cemetery behind the food bank in Sequatchie. That is a huge task, but Bryant took it a step further: he contacted the Superintendent of the historical Forest Hills Cemetery in St. Elmo in order to research the care of historical cemeteries and understand the care, cleaning, and preservation of grave markers and monuments. After painstakingly removing vegetation overgrowth and cutting the grass, Bryant assisted by his Dad, Tim, visually inspected each grave marker. Those stones and monuments which could be realigned, he and fellow scout, Jared Lewis, advised by Tim and Scoutmaster James Beach levered the stones upright and reinforced the supporting area underneath the stone with bricks and concrete to hold them in place. Then Bryant, family friend Ms. Karen Strain and two of her students at Marion County High School, Makaila Rummage and Wendy Jiang, scrubbed each of the markers and the walls, where it was safe to do so, using guidelines provided by the experts at Forest Hills, to remove decades of moss, mildew, lichens, and dirt. Finally, Tim Godwin gave all of the stonework a thorough rinse with a pressure-washer. Many thanks to Bryant, his family, friends, and his BSA Troop for restoring this historical treasure in Marion County. 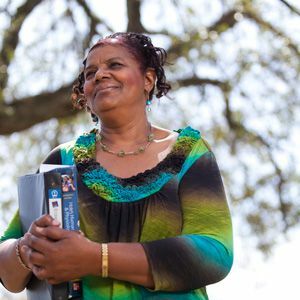 In my role at Feeding America, I’ve met people across the U.S. who face hunger. Many of the people who have generously shared their stories with me at food pantries defy the myth of who “belongs” in line for food assistance. They are not lazy. They are hardworking. The families I speak with often work long hours and multiple jobs – but because their jobs pay minimum wage or slightly above, they still struggle to get by. It’s hard to take care of a family on around $15,000 a year – and as a result low-income households are often forced to make tough decisions. Daniel, a father and house painter in Santa Barbara, said he has had to choose between paying for medicine and buying groceries for his young family. Derek, a father of three who works in security in St. Louis, told me he often has to choose between paying bills and buying food. What would you do if – despite your hard work – you had to make tough choices like the ones Derek and Daniel have to make? I recently came across an interactive budget calculator, created by Marketplace that puts you in the position of someone earning a low-income wage. Even after hearing story after story of this similar struggle, I found it extremely insightful, as it was near impossible for me to balance my wages – even when I listed my family as one without children. Although the results of this exercise can be discouraging, I’m encouraged by the fact that Feeding America can help take tough choices off of families’ plates. Food pantries (such as MCCM) across the country free up families’ groceries budgets, so they can use the money they do have to pay bills, go to school and receive medical care. When you think of it that way, it’s amazing how far donating a simple meal can go. A simple meal could be all a working family needs to pay that bill that enables them to stay afloat, so they can keep sailing towards a brighter future. A simple meal is so much more than food – it’s a gift that could change lives. *Colleen Callahan is a communication manager and content producer at Feeding America.